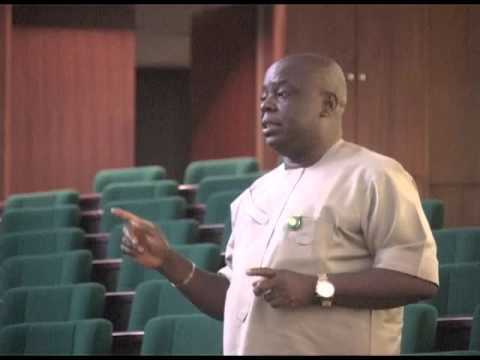 When Hon Gabriel Onyenwife was aspiring for a seat at the Federal House of Representatives, he had approached political stakeholders in Oyi/Ayamelum Federal Constituency with grand plot to oust his brother Hon. Chizor Obidigwe. Onyenwife never knew that he was going to be served hot Vinegar with the same jar he provided back in the days of "Pull down Chizor by all means". Prior to 2015 National Assembly elections, Hon Gabriel Onyenwife vigorously mobilised against his kith and kin Hon Chizor, he galvanized and sponsored campaign of deceit and prebendalism against the 'first timer' Chizor. In his usual maradonic style of politics, Hon Onyenwife garnered massive support from unsuspecting Ayamelum people which saw to a well choreographed 'Vote-of- No-Confidence passed on the erstwhile innocent lawmaker Chizor. Overnight, the unsuspecting people of Ayamelum threw their weight behind the maradonic Onyenwife who latter became a political prodigal son to their utmost dismay. As the political shenanigans toyed to oust the blackmailed and boxed Hon Chizor out of the Green Chambers, Ndi Oyi were quick to remind Ndi Ayamelum about the 2011 zoning agreement/understanding regarding the zoning formular adopted for Federal House of Rep sloth between both Local Government Areas. An agreement which stipulated eight years sloth per LGA. Ndi Oyi had warned that in the event Hon Chizor was pulled out of the Green Chambers, that Ayamelum had only four years left to complete their eight years sloth, which undebatably would tentatively terminates in 2019. Furiously, the chameleon-like politicos Onyenwife returned to the trenches after a disastrous eight years outing at Anambra State House of Assembly, he became the Spiderman of Ayamelum politics and led the most devastating political onslaught that denied a return ticket to the hapless incumbent House member Chizor. The ousted lawyer maker Chizor was politically quarantined and muted by rampaging Onyenwife's and brigantines. So much that the embattled lawmaker Chizor could not withstand the heat, consequently, he borrowed wings and disappeared into thin air. Resultantly, a lavished party was celebrated in memory of the fallen Lawmaker Chizor. Many pundits attributed his political exile was orchestrated by invincible hands in the party as it were. Hon Onyenwife became the new bride, the toast, and the saintly. APGA party primary was a walk over for Saint Onyenwife who had gone to 'jawjaw' and 'tortor' with key stakeholders in Oyi and Ayamelum promising not to stay beyond the agreed term. In his words "I have no reason to disrespect the zoning agreement between Oyi and Ayamelum. I'm from Umunbo, and in my town, we are responsible people. We have a culture of keeping to agreements, we don't betray our benefactors. Without Oyi's support we cannot do much. I want to go and complete Ayamelum's turn at the House of Rep, my brother Chizor started it and I will finish by the special grace of God. I promise to go for one term of four years. Trust me, I will support Oyi in 2019. Please, I need your blessing and will not disappoint". Today, Hon Gabriel Onyenwife has bluntly declined to having any agreement with ndi Oyi stakeholders before he was supported to replace his brother Hon Chizor. Today, Hon Gabriel Onyenwife has shamelessly announced to the world that there was no zoning understanding/agreement with Ndi Oyi. Today, Hon. Gabriel Onyenwife has been frequenting to homes of stakeholders in Oyi, struggling hard to curry political favor. He had sponsored many groups to chant that there was no zoning formula. Today, Hon Gabriel Onyenwife has challenged Ndi Oyi to a wrestling contest to the extent of sending lazy farmers and touts from his Umunbo to disrupt the epochal Oyi/Ayamelum Joint Summit at Umunya. Funny but real, the bunch of illiterates, ignorantly left the venue to smoke Indian hemp at a nearby bush during the most critical session that nailed Onyenwife's on the political cross. Expectedly, the political elites, scholars and Leaders of thought from Ayamelum stood gallantly and declared their unreserved support for Oyi to produce next candidate for the Green Chambers business. Today, anyone who is against Onyenwife's third term political ambition and cannot be easily bought over is an enemy and should be blackmailed. Today, Ndi Oyi have been insulted and labeled political foes by Onyenwife's apologists, never do wells, Indian hemp smokers, native tobacco sniffers, Palm wine tappers, and firewood breakers. Even APGA party statutory delegates within the Oy/Ayamelum have been cautioned against relating with other aspirants except Onyenwife, being a threat issued by a comprised LGA Party Chairman who is currently the campaign manager. Looking at the trend of political events in Oyi/Ayamelum federal constituency, the story of the rise and fall of the maradonic Gabriel Onyenwife in Ayamelum politics is one of the great unwritten political pieces of our time. Yet the consequences of the demise of the truth are likely to prove very profound. AND NDI OYI HAVE TAKEN A DECISION! IT IS TIME TO TAME THE MARADONA!